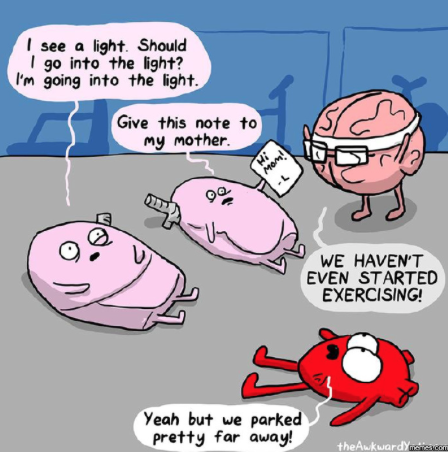 And the flummoxed heart chiming in with the but-I-got-cardio-walking-in-from-my-space! routine. Let’s go, ladies! The whining stops now! GET UP, GET OUT, and GET IT!